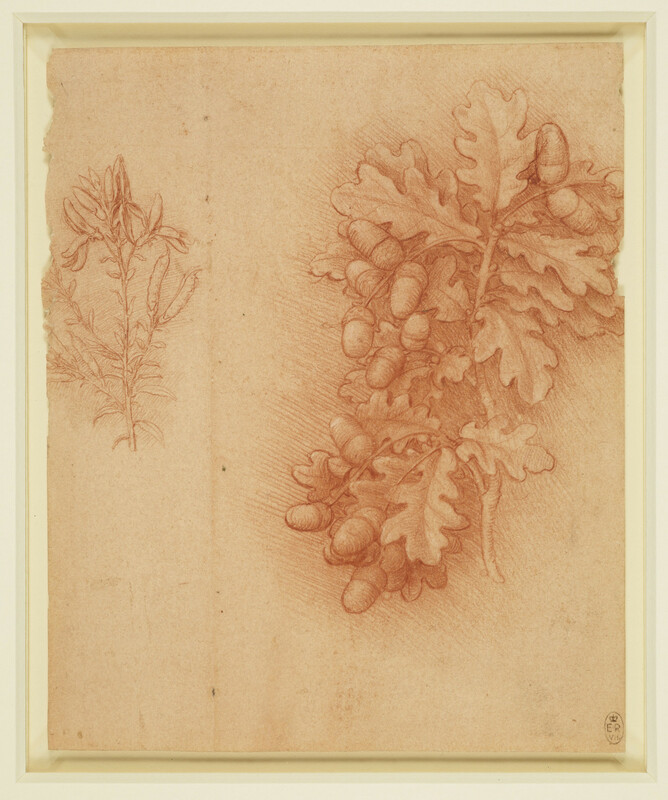 A study of a sprig of oak-leaves with a cluster of acorns. To the left is a drawing of a sprig of dyer's greenweed showing a flower and pods. Melzi's 128 (verso).